The usual disclaimer applies that things in the future are subject to change. 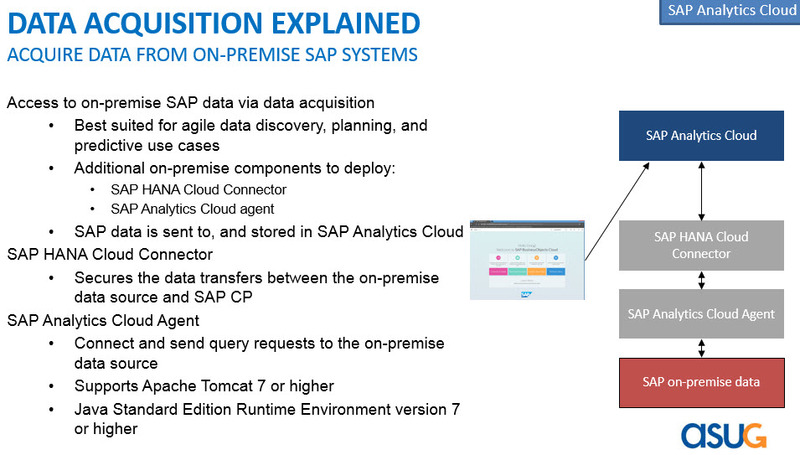 This was an ASUG webcast that SAP gave late last month. 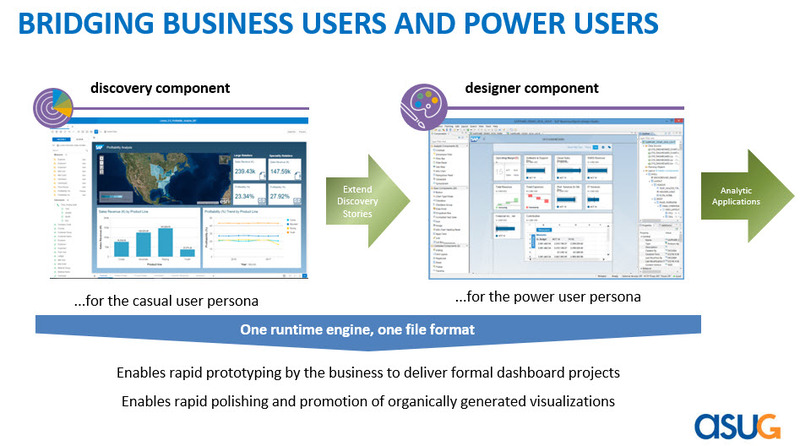 “Old” Lumira and Design Studio are now called Lumira 2.0 – one file format, one technology base, sharing elements, two client tools. 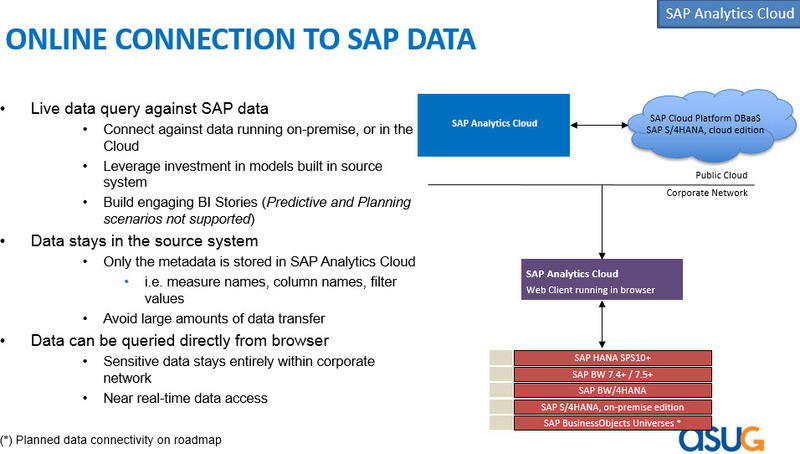 Can Analytics Cloud consume On-Premise BOBJ content from BI Platform? Hi. 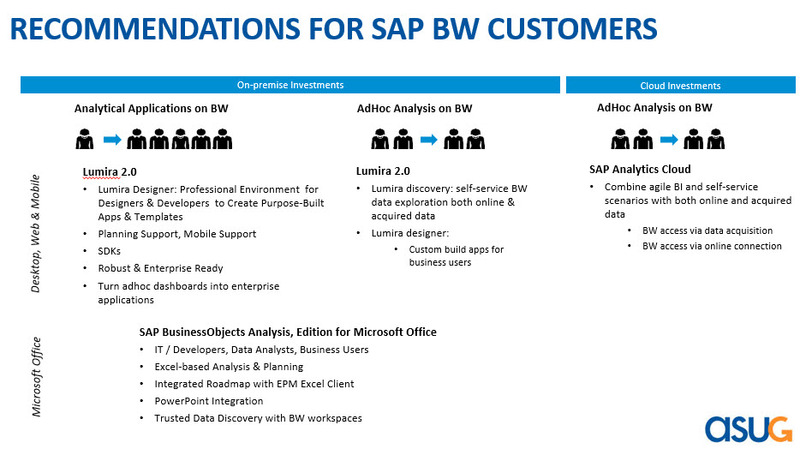 There is no direction content consumption with on premise BI content yet. This is currently under discussion on the approach as part of our overall Hybrid strategy between Cloud and On-premise investments. One of our current priority focus is on data integration. 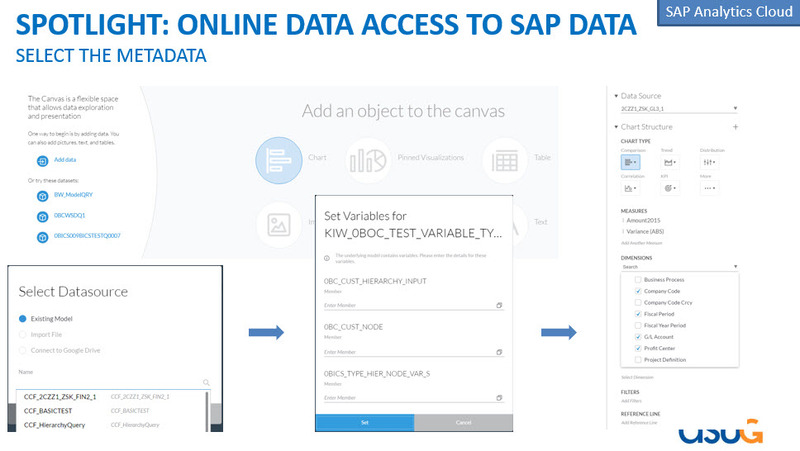 Being able to connect to on premise data for analytical purposes. 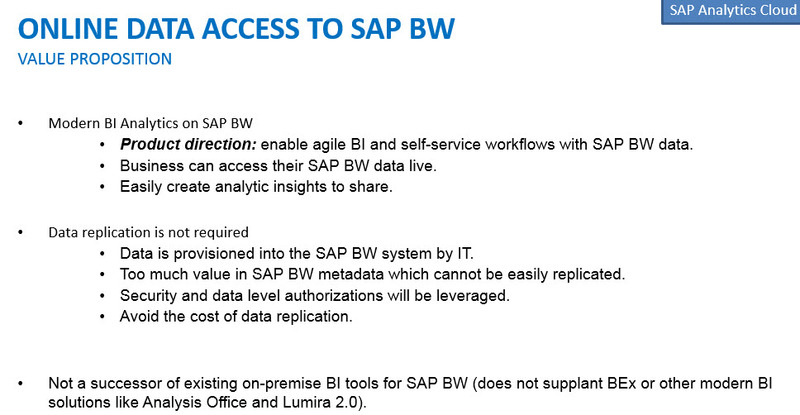 Having trouble understanding when I would use Analytics Cloud if already have success using Lumira and other tools. 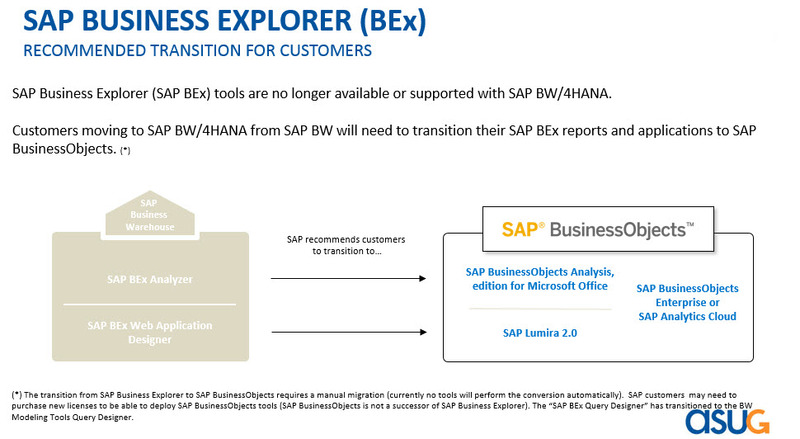 Is this a simplified option INSTEAD of tools like Lumira? 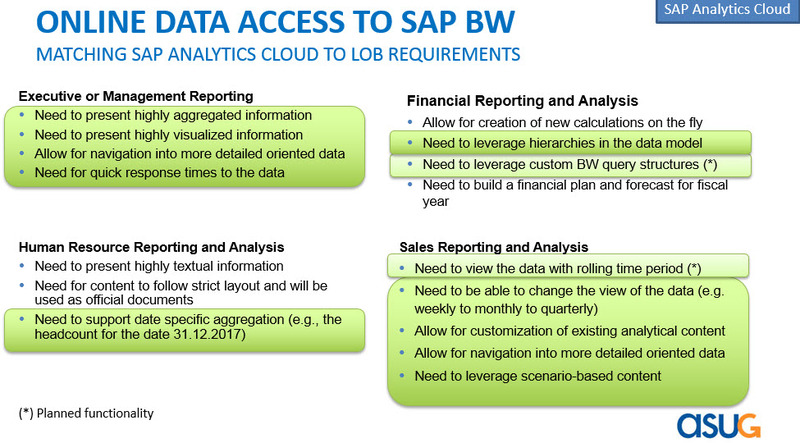 Analytics Cloud is not seen as a simplified option to Lumira. 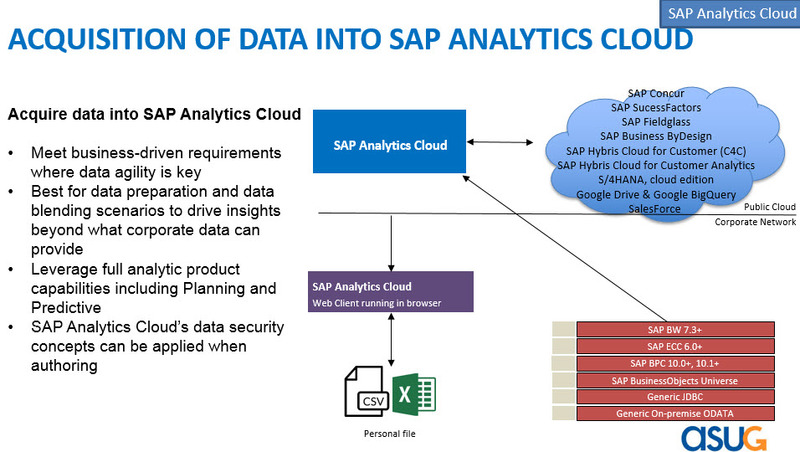 It is a separate analytic investment that is built purely in the Cloud. 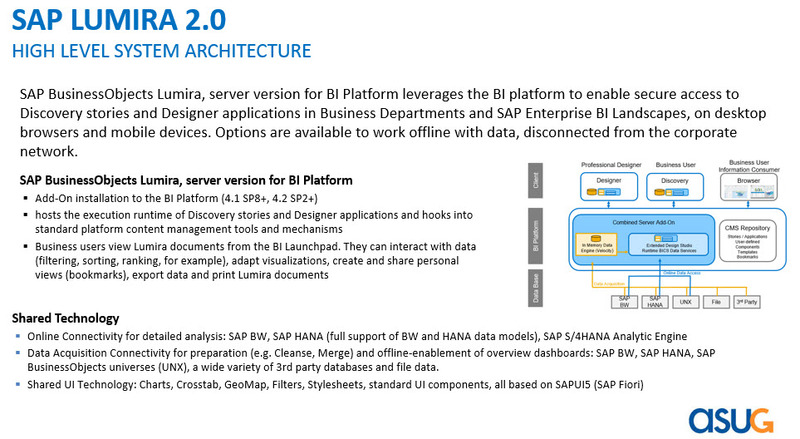 For customers interested to transition into Cloud, SAC provides a broader set of use cases (Planning, Predictive, and BI) combined in comparison to Lumira 2.0. 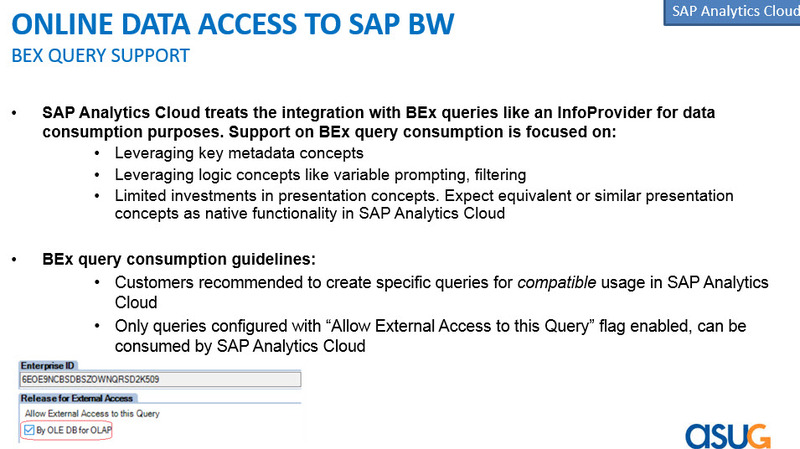 So, does using this INA interface mean slower and less functionality than BICS? INA interface is less rich compared to BICS, but it does not mean we can’t expose the core BICS-based concepts which end users care about. 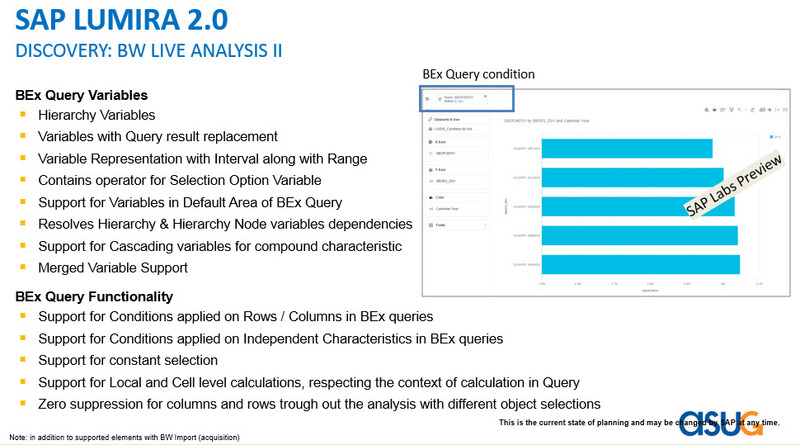 Does Lumira use native BICS instead of INA? 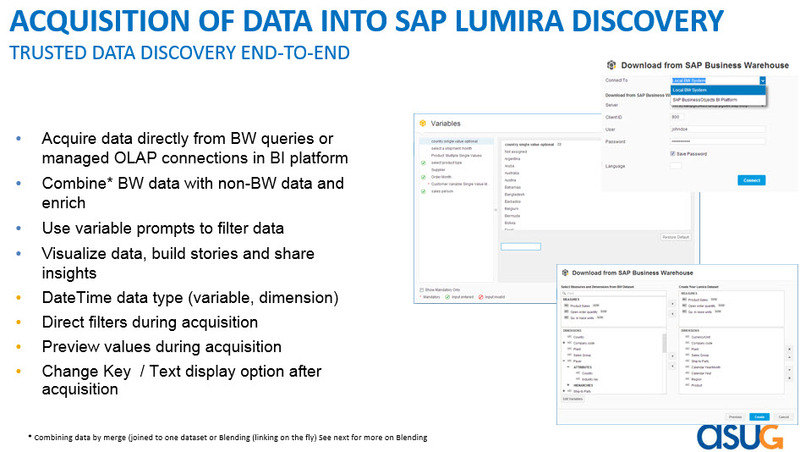 Lumira indeed uses BICS. BICS protocol is not cloud-enabled, so the INA protocol was developed to enable cloud access scenarios. 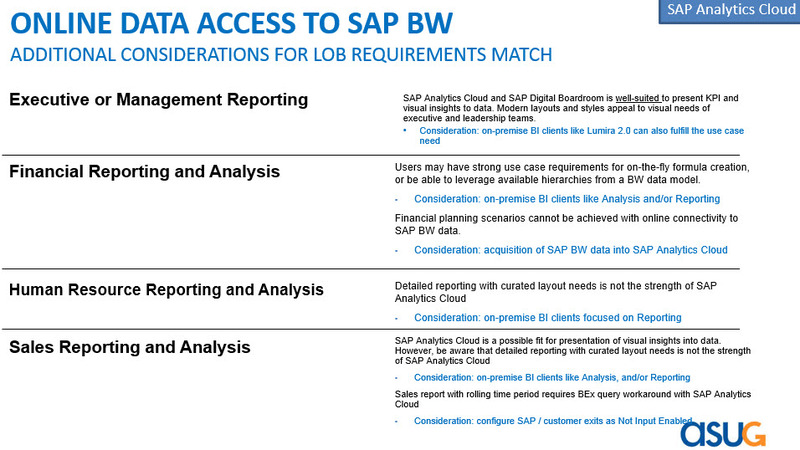 My thanks to SAP’s Eric Yew and Larissa Naujoks, SAP, for this webcast and to Ina Felsheim for setting up this webcast. 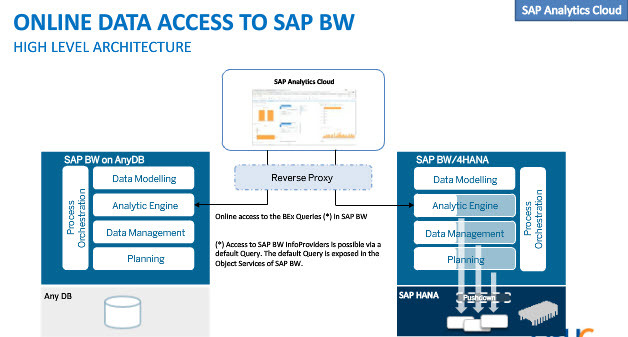 Hi all,What are differences between BW live to BW import connectivity ? 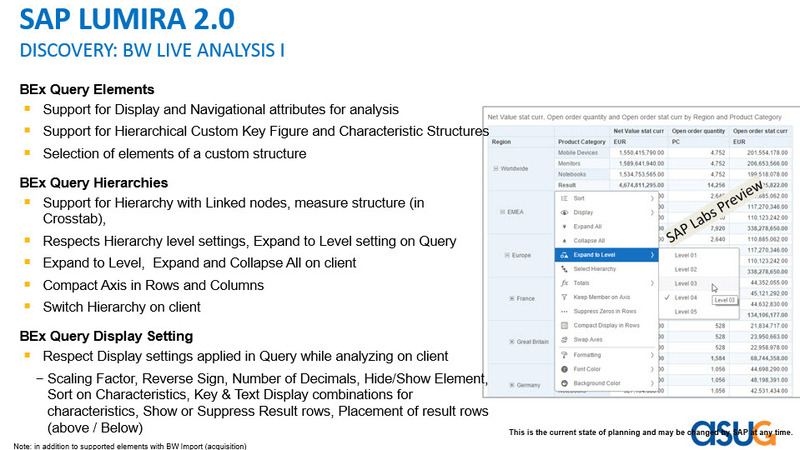 any differences in term of Lumira functionality ?